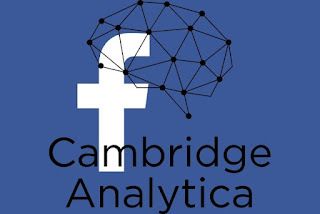 After the scandal over the data of Facebook users, Cambridge Analytica announced the "cessation of its operations"
The data company Cambridge Analytica will cease its activity after the scandal caused by the filtering and use for political propaganda purposes of the data of at least 87 million Facebook users without proper authorization. The company worked for President Donald Trump's campaign in 2016 and its information was used to boost the Brexit campaign. "The company is ceasing all of its operations immediately," the company said in a statement. "Despite the unwavering confidence of Cambridge Analytica that its employees have acted in an ethical and legal manner ... the siege of media coverage has driven virtually all of the Company's customers and suppliers," it continued in its statement. According to the company, "as a result, it has been determined that it is no longer viable to continue operating the business, which left Cambridge Analytica without a realistic alternative." The statement goes on to say that the decision is "extremely painful for the leaders of Cambridge Analytica" but that they recognize that it is "even more difficult for the company's employees", who were informed on Wednesday that "they will probably lose their jobs as a result" of the damage caused by the negative media coverage. Despite the precarious financial condition of the company, Cambridge Analytica intends to fully comply with its obligations to its employees, including with respect to notice periods, compensation periods and dismissal rights," the statement continued. The controversy over the use of data in the Donald Trump presidential campaign in 2016 affected the actions of the world's largest social network and launched multiple official investigations. The newspaper 'The Wall Street Journal' has reported in its digital edition of the closure of the company, which already in March dismissed its executive director, Alexander Nix, and announced an investigation into what happened. The US economic newspaper cites the founder of the SCL Group, the British subsidiary of Cambridge Analytica, as the source of the information. SCL Group also closes its doors. The reason is the loss of customers and the high legal costs related to the leak of personal data from Facebook, as explained by a person knowledgeable about the matter. A recent video shows Nix addressing the options to launch political smear campaigns through alleged bribes or sexual scandals. The recordings were made by a journalist from British television Channel 4. Nix suggested to potential clients, who were actually journalists, some tactics that the firm uses to discredit politicians through the network. According to what had been revealed several days before by various media, Cambridge Analytica collected information from Facebook users in 2014, through a third party application, to build a software program to predict and influence the decisions of voters. The scope of data leakage is estimated at some 87 million users, especially from the US, where the consultancy company earned about 15 million dollars for its work in the 2016 Donald Trump election campaign. According to the WSJ, since then Cambridge Analytica had not achieved a single political client at the federal level in the US and in recent months had lost a few.